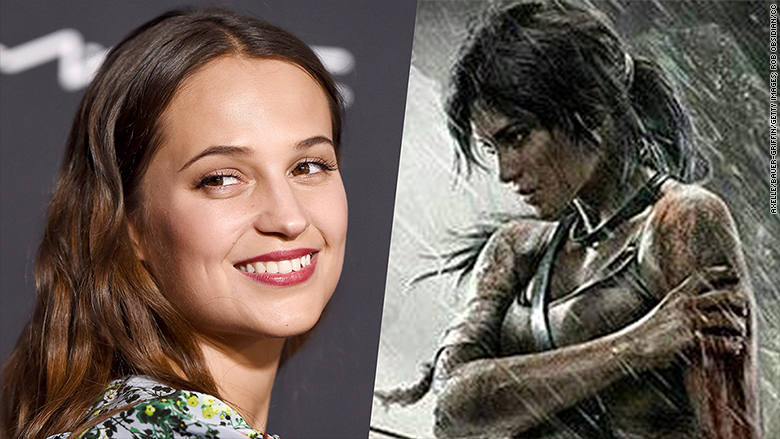 Alicia Vikander will star in the reboot of "Tomb Raider." The Oscar winner will be playing explorer and video game icon Lara Croft. The new Lara Croft has some experience with a golden statue. Alicia Vikander, who won the Oscar for Best Supporting Actress at this year's Academy Awards, will play Lara Croft in the upcoming "Tomb Raider" reboot, MGM and Warner Bros. announced on Thursday. The film, which will be directed by Roar Uthaug, will cover "a young and untested Lara Croft fighting to survive her first adventure," according to the studios. The film will be co-produced by MGM and Warner Bros., which like CNN is owned by Time Warner (TWX). MGM will be overseeing production. Vikander shot to stardom this year winning an Oscar for her performance in "The Danish Girl," and for her stand out role in "Ex Machina." Lara Croft, who is arguably the second most famous fictional archeologist behind only Indiana Jones, was the creation of the 1996 hit video game "Tomb Raider." The video game franchise, which is one of the most successful of all time selling over 45 million copies, made Croft a pop culture icon leading to the character making her jump to the big screen in the early 2000s. Angelina Jolie originally played the character in two films: 2001's "Tomb Raider" and 2003's "Lara Croft Tomb Raider: The Cradle of Life." The two films brought in a combined $431 million at the worldwide box office while also helping to make Jolie a star. The role of Croft in the rebooted "Tomb Raider" has been one of the most discussed in Hollywood. Some rumors had Daisy Ridley in talks to take over the mantle of the adventurer. Alas, Ridley will have to stick to exploring the galaxy far, far away as Rey in Disney (DIS)'s "Star Wars" saga.